Pigment giclee print on archival Strathmore 5 x 7 in. greeting card paper. Blank interior (no message). Envelope included. 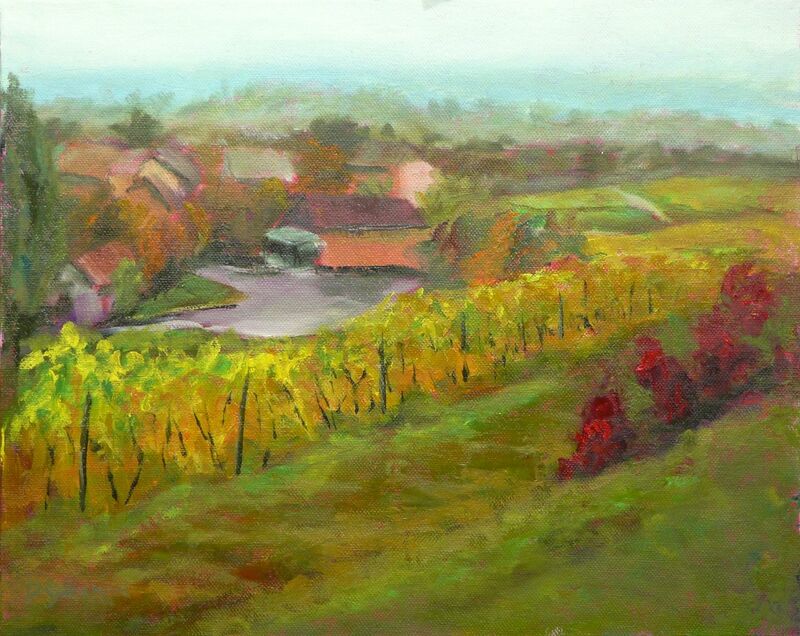 From an original DGehman painting of autumn vineyards in the Burgundy region of France.